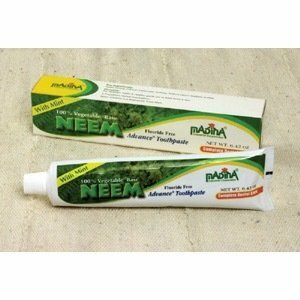 Take the natural way to clean, healthy teeth with this neem leaf toothpaste. Neem leaf, a natural antibacterial has been combined with herbs to give you complete natural oral hygiene. Has a fresh mint taste. 6.42 oz. Fluoride free.